Jim Kreider and an exceptional team of dedicated bakers, cooks and customer service staff, continue to provide local patrons and visitors from far and wide a truly unique and delightful experience. Everything is still made from scratch, the old-fashioned way – you won’t find any premade mixes in this bakery – just bags of flour, whole grains and sugar, flats of eggs and cases of real creamery butter. It takes a lot of loving care to transform these staples into the delicious pies, brownies, cookies and breads you will find on the shelves every day. Merridee’s also features a daily variety of homemade soups, quiches and fresh salads. 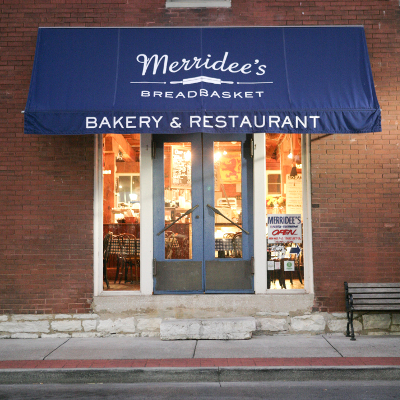 Merridee’s Breadbasket has been featured in Southern Living Magazine, on the Food Network’s “Best of Baker’s Show” on Nashville Public Television’s “Tennessee Crossroads” and has received the Sizzle Award from Southern Exposure Magazine for being voted Best Bakery in Williamson County… three years in a row! 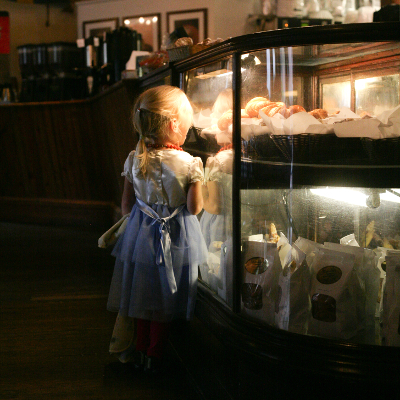 Come and see why Merridee’s continues to be a favorite place for local folks and visitors to gather and share good food, good conversation and good coffee.